These podiatrist designed insoles provide support and cushioning wherever your day may take you. With premium orthotic support, antibacterial sweat absorbing fabric and a breathable construction, these comfortable insoles will keep you going all day long! 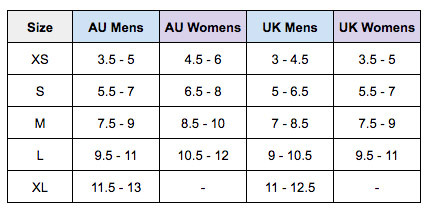 Available in adult sizing - see size chart for correct fit! Designed by Australian Podiatrists, Foot Bio-Tec orthotic footwear helps treat conditions, pains and aches such as: Plantar Fasciitis, Weak Ankle, Achilles Tendonitis, Heel Spur (Calcaneus Spur), Shin Splint and Bunion. And with a beautiful design to boot, these are the shoes aet to replace them all.